A to Z Mysteries – Grand Canyon Grab – Super Edition #11 is out March 5. Adventures of Sophie Mouse – The Great Bake Off releases April 23. Ballpark Mysteries – The Baltimore Bandit (#15) was released February 5. Big Nate – Big Nate: Payback Time! is out March 19. Calpurnia Tate, Girl Vet – A Squirrelly Situation is out April 9. Captain Awesome – Captain Awesome and the Trap Door releases March 26. Desmond Cole Ghost Patrol – The Sleepwalking Snowman is out March 5. Diary of a Wimpy Kid – Diary of an Awesome Friendly Kid: Rowley Jefferson’s Journal is out April 9. Dragon Masters – Eye of the Earthquake Dragon releases April 30. Emily Windsnap – Emily Windsnap and the Pirate Prince #8 is out March 12. Fancy Nancy – Fancy Nancy: Camp Fancy releases March 5. Fly Guy – Fly Guy Presents; Garbage & Recycling was out February 26. Geronimo Stilton – The Hawaiian Heist (#72) is out April 30. Goosebumps – SlappyWorld #7 It’s Alive! It’s Alive! released February 26. Hank the Cowdog – The Case of the Buried Deer is out March 28. Horrid Henry – Up, Up and Away is out March 21. Jack Stalwart – Secret Agents Jack and Max Stalwart: Book 3: The Fate of the Irish Treasure is out March 12 along with Secret Agents Jack and Max Stalwart: Book 4: The Race for Gold Rush Treasure. Jedi Academy – Revenge of the Sis (Jedi Academy # 7) releases March 26. Judy Moody – Judy Moody and Friends: Searching for Stinkodon is out April 9 along with Judy Moody and Friends: Countdown to Trouble. King & Kayla – King & Kayla and the Case of the Found Fred releases March 1. Snicket is out April 16. Maisy – Maisy’s Farm releases March 12. Maisy at Home is out April 9 along with Maisy’s Day Out. My Weird School – My Weird School Special: Bummer in the Summer! is out April 30. Nancy Drew and the Clue Crew – The Tortoise and the Scare (Book #11) releases March 19. Never Girls – Finding Tinker Bell #4: Up the Misty Peak is out April 2. Owl Diaries – Eva and Baby Mo (Owl Diaries #10) released February 26. Plants vs Zombies – Plants vs. Zombies Volume 12 Dino-Might was out February 26. 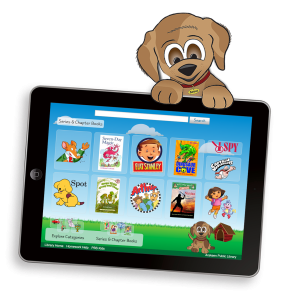 Puppy Place – Bentley (Puppy Place #53) is out April 30. Thea Stilton – The Treasure Seekers (New series with Thea Stilton) released February 26. Warriors – The Broken Code #1: Lost Stars is out April 9. What Was…? – What Is the Stanley Cup? is out March 12.
Who Was…? – Who Was Norman Rockwell? is out April 2 along with Who was H.J. Heinz? This popular series just added a new book in February, Narwhal Otter’s Friend, bringing the total number of books in the series to four. 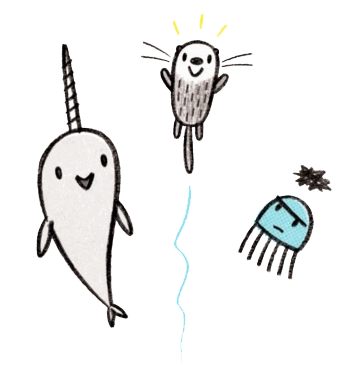 These books are all about the friendship between Narwhal and Jelly and their love of waffles. It looks like there are more new books coming in this series, so stay tuned! In the meantime, see what books are on your library’s shelves and put in a request if your library does not have these yet. Charlie Bone – For Harry Potter fans, here is another magic and mystery series. Fudge – Meet Fudge, who gets away with everything and Sheila, the know-it-all. Little Polar Bear – Follow the adventures of Lars, the little polar bear! Middle School – Join Rafe and his sister, Georgia, as they take on middle school. Piggle-Wiggle – Get all the cures with Mrs. Piggle-Wiggle! Narwhal and Jelly – Take an underwater adventure with two best friends. Peppa Pig – The Chinese New Year for 2019 celebrates the pig, Peppa Pig! The Last Kids on Earth – A mix of Diary of a Wimpy Kid and zombies makes a fun read. Upside-Down Magic – Join the students in the Dunwiddle Magic School’s Upside-Down Magic class. WeirDo – This is all about Weir Do, the new kid in school. For fans of Diary of a Wimpy Kid, the author, Jeff Kinney, is about to publish a twist on this very popular series. Diary of an Awesome Friendly Kid: Rowley Jefferson’s Journal, out April 9th, features Greg Heffley’s best friend, Rowley Jefferson, writing about his pal’s adventures. Watch for a new book in the Fall, as the Diary of a Wimpy Kid series adds book 14! Keep an eye on Scout’s Corner for updates! The author of Big Nate, Lincoln Peirce, just published a new book, Max and the Midknights, an adventure story set in the Middle Ages. This book, released in January, is quite different from the stories about Nate. I am sure we will be seeing more of Max and his adventures, fighting off dragons and saving damsels in distress. 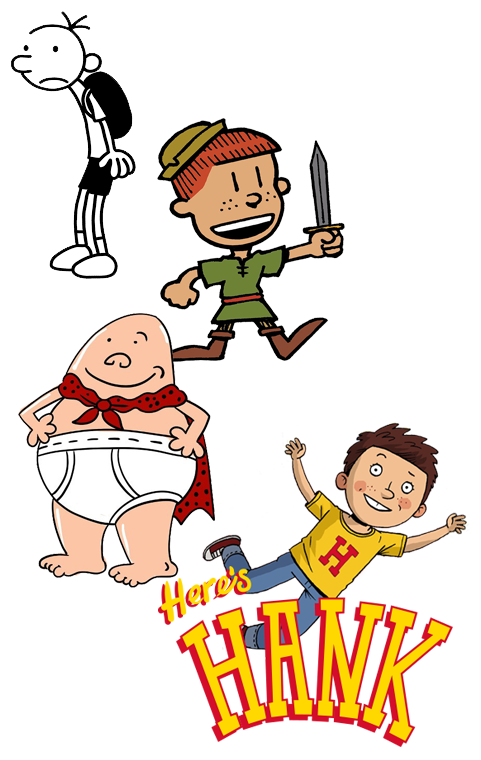 For fans of Captain Underpants, the second season, Captain Underpants: The Epic Tales of Captain Underpants started February 5 on the Netflix streaming library. The first season was out last summer and everyone was anxious for more. Looks like there may be six to eight seasons of adventure. Sorry to have to say goodbye to the Here’s Hank series. The 12th and last book in this series, Everybody Is Somebody, released January 29th. Are YOU ready for Spring? I think I have had enough of ol’ man Winter and I am ready to get outdoors. Do you have a seed library in your town? A seed library is where you can get seeds for free that you can plant and watch them grow. You check them out just like you check out a book, but you don’t have to return them! Hundreds of libraries across the country offer this service as a way to educate people about the plants specific to their area. Check out if your library offers free seeds, and if not, see if you can get a seed library started.